The magos is looking great and I like the background. Good to know more folks than just bile are taking interest in the primaris. Samusenko is also AWESOME!!!! Something about that mini really scream Unification Wars to me and I would love to see an army of her Ural kin. 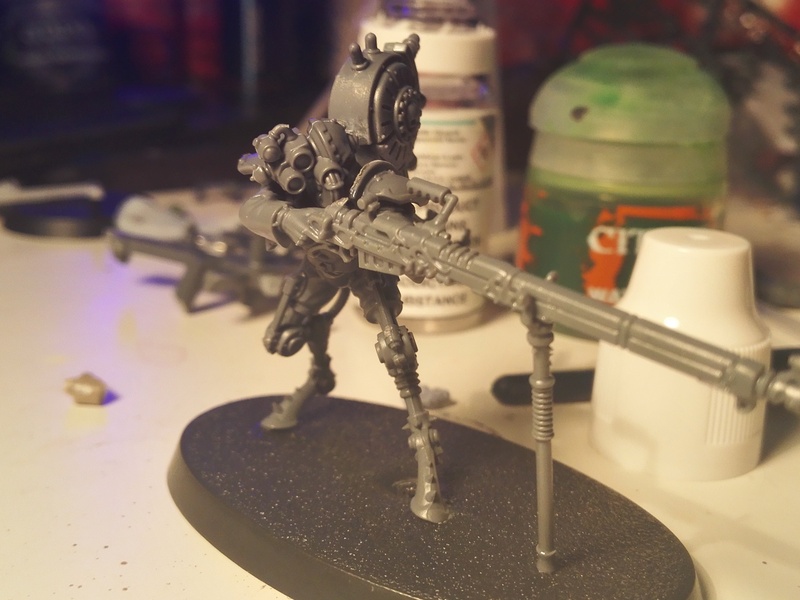 Great to see a mechanicus follower who doesn't go hard into the augmentation scene as well. Lastly, Ghost assassin robot is a stunner! Interested in seeing how she pans out. Is she really ghosting around, using some anti-grav device, or are the cables carrying her around a'la Doc Ock? Thanks man! Not 100% happy with her yet, hopefully I don't overdo it. I actually have an update on her! I have decided against the cables, but the original plan was grav tech, was thinking of that as part of her backstory too. Magos Knake and Anya look great! Wow, what an excellent thread; the compositions are fantastic and your painting really does them all justice. The magos' head is really interesting and picks them out. The serfs/servitors really look the business, the heads are ,again, really nicely chosen and give them a very spec-ops feel. The new WiP is just cracking, the whole pose leaning in the direction of aim creates a good flow to the figure and the extra arm and clawed hands really reinforces the otherness and inhumanity. That Urals warrior is fantastic. Looks like she's jumped right out of a Visions of Heresy picture. 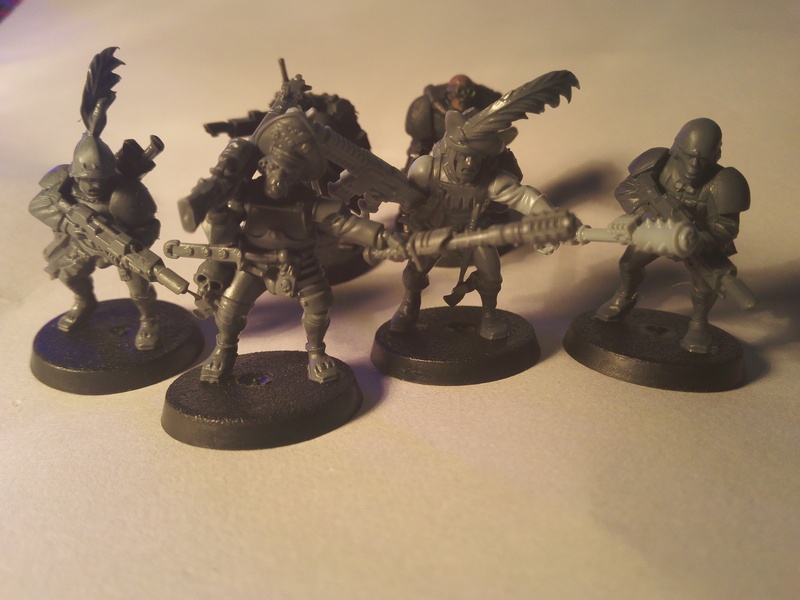 Is there any chance we could have another look at the GSC conversions? I spied some guys in the background who looked like really interesting conversions but they are partly hidden, especially the guy with apparently no arm and a hunch. That is the most flattering, artistic, interpretation of 'Rule of cool' I have ever heard, thank you. Really liked the idea of the Terrawatts, had to do something with it. I am actually working on new serfs They'll be appearing soon. Edited by Oldest, 08 August 2018 - 02:04 PM. It's no mere flattery brother, you've more than earned the praise, I'm keenly following all your projects on here. Nice to get another shot of the serfs and I'm looking forward to the next lot. Good job on the serfs. Well thank you! I have an update for it all too! They're the old ones! Making new ones with a theme I like more to be honest. And here they are, the new Dietrich von Mackensen & the Redshirts of the Harmonides (Which fit better with Mackensen's squad IMO). 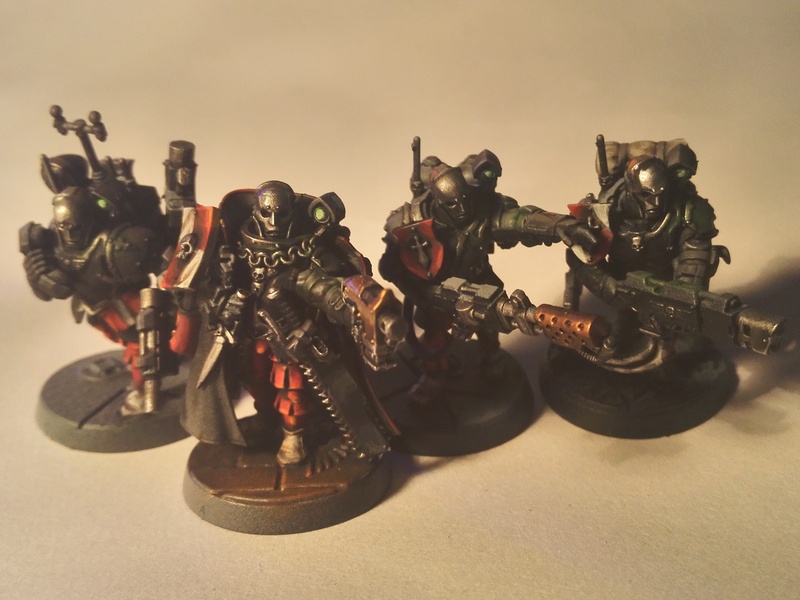 One of the specialist task forces sworn to Magos Knake; the Death's Heads are an enigma to the rest of the fleet's commanders and to most of the crew are simply their superiors. Despite being armed similarly to Imperial Stormtroopers of the Militarum Tempestus they are a separate outfit. 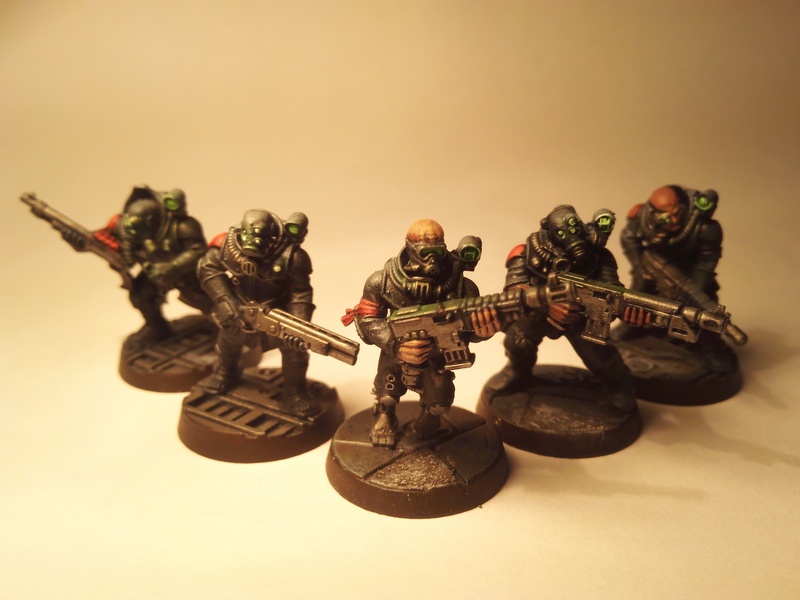 Those humans who see them in battle say they far exceed the speed and reflexes of natural humanity, this has lead to rumors of genetic tampering and augmentation or that they are survivors of the Gland Warriors (By those in the higher echelons of Mechanicus members of the fleet) and yet some spread even darker rumours. This hearsay is exacerbated by members of the force seeming to never remove their garish death masks or showing any sort of emotion outside of battle, with some even having heavily vox distorted voices. Even more disquieting is that no member of the task force has ever been interned in the Harmonides Medicae facilities despite eyewitness reports of battlefield injuries and fatalities. Edited by Oldest, 08 August 2018 - 08:54 PM. The xeno hunter looks promising. Oh yes, the AoS helms on the Death's Heads give them a very cold, alien aesthetic; ranks of emotionless death masks advancing upon the, bursts of hot las searing through the air. The xeno-hunter's back unit works really nicely to add some new height levels, the additional optical array suits him too. I must be honest, but I'm not too taken with the Kolossi, it might be the legs that are bothering me, they seem at once too crude. but also quite spindly. Perhaps Greatsword legs would work better for that steampunky, old-world feel? Personally I like them more, There was something gnawing at me when people said about 'Spec ops Serfs' that really made me start to see that as an oxymoron, serfs aren't meant to be well armed & equipped mainline soldiers they're plebeians! I wanted them to be visually lesser than Mackensen's troops - Greatsword legs on both I feel would lessen the Death's heads with fancy clothing for both scrubs and elite operatives. They're there to crew the ship and occasionally perform logistics and haul heavy samples back to the ship! That's certainly fair enough, the slightly emaciated look created by the thinner legs does reinforce their low status; probably having to fight just for leftover scraps of food and equipment. I would love to see you take on an Armiger. That was the concept, less grandeur, a group of individuals sworn to the machine god but only augmented upon a system of meritocracy. 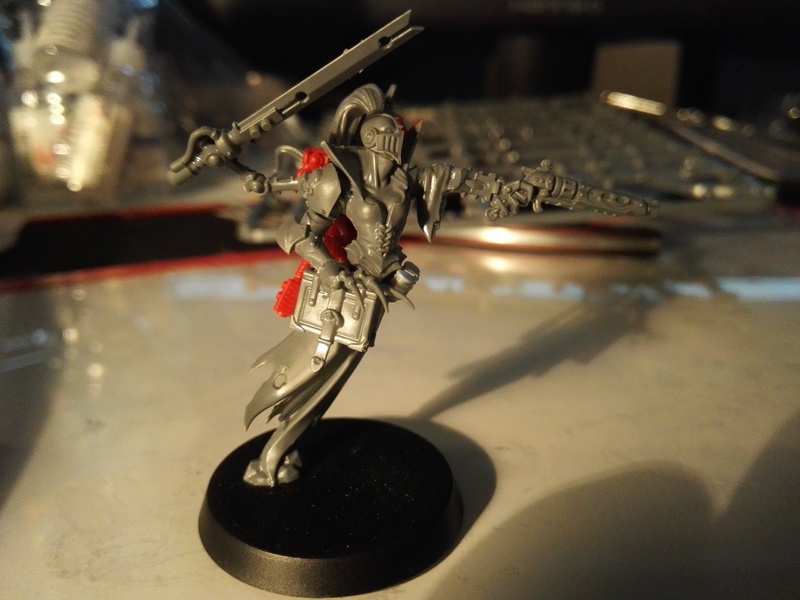 Sometime soon, like the idea of getting some Kataphrons, Ironstriders and an Armiger alongside what I have already. Cheese and crackers I missed a lot in a day or so! Keep it coming though as I am loving it! The masks really add to the character of those Scions (ironically), good call. Xeno-Hunter looks boss. I like the different character of each group of men.